We are pleased to employ a staff of highly trained physicians who collectively possess of 100 years experience in providing healthcare to the community. Although our physicians are separated into two specialty groups: Wamego Family Clinic and Inpatient/ER, they work collaboratively to provide our patients with quality care that is personalized and close to home. We also have a team of experienced mid-level providers serving our Walk-In Clinic, located within Wamego Family Clinic. 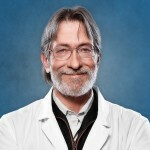 Dr. Ditto has served as a physician in the Wamego Community for over 20 years. 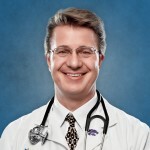 He specializes in Internal Medicine and enjoys developing the physician/patient relationship. Dr. Ditto enjoys serving his community as well. He coordinates the AWANA Christian Education Program, serves as a 3 Rivers Board Member and enjoys spending time with his children and parents. Dr. Milner, a native of Colwich, is our newest physician at the clinic. 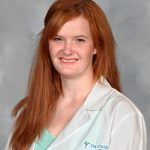 She is a 2010 graduate of Benedictine College and graduated from the University of Kansas School of Medicine in 2014. Dr. Milner recently completed the Wesley Family Medicine Residency Program earlier this year. She enjoys hiking, camping, running, tennis, reading and spending time with family and friends. 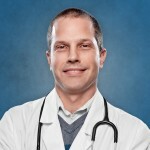 Dr. Wolfe specializes in Family Medicine and has a passion for Sports Medicine. He has been with Wamego Family Clinic since 2008 and currently serves as our Chief of Staff. When Dr. Wolfe isn't taking care of patients, you will find him on the sidelines of a Wamego High School Football game coordinating the Sports Medicine Clinic. Dr. Wolfe also enjoys coaching and watching his children play sports. 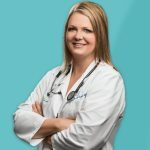 Jena has been working as a physician's assistant for more than 20 years. 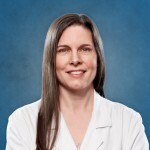 She is experienced in Family Medicine, Pediatrics, Traumatic Brain Injury and Emergency Medicine. After joining Wamego Health Center in 2013, her focus was in the emergency room and caring for hospital inpatients. In August 2018, Jena will join the Wamego Family Clinic team where she will return to Family Medicine. In her personal life, she devotes her time to her husband and two daughters. She enjoys attending St. Bernard Catholic Church, following her daughters' activities, as well as cooking, baking and spoiling her cats.